According to South African law, an individual has the right to dispose of his or her estate as he or she wishes by stipulating this in a will. However, this right may be limited when in the public interest. A new year always brings with it endless opportunity and is the perfect time to forge ahead with new plans and make the first move to achieve goals. 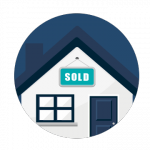 If your aim is to sell your property, then follow these keys steps in helping to make sure it’s a successful and lucrative process. Buying off-plan can seem daunting for purchasers as you are buying a property that is yet to be completed. On the upside, this has become a profitable approach to the property market and indeed, the proverbial early bird does then catch the worm. There are of course many factors to consider before such a decision is made. A right of first refusal is a mechanism in a contract that affords the holder of such right the preference to buy a particular property, should the owner ever choose to sell it. There are a number of forms of ownership of immovable property in South Africa, and sometimes prospective buyers as well as homeowners are not aware of the intricacies of each. To take the mystery out of this for you, we have put together the basics on each of the 3 most common types of ownership: full title ownership, sectional title ownership and long-term lease. To help buyers looking to purchase property on auction, here is some crucial information relating to auctioned property. Given certain conditions being met, a property can be transferred as a ‘going concern’ which can be beneficial to the transacting parties. There are a number of ways to deal with the undivided shares in fixed property held by two or more people. In the case of joint ownership by married persons, one such way is by one party becoming the sole owner of a property. The process for this will depend heavily on the matrimonial regime selected at the time of marriage. Every property agreement contract is slightly different, but with our years of experience as conveyancing attorneys, we have identified some key do’s and don’ts that can help make a property sale a success for all parties concerned. Following on from Part 1, there are a number of aspects relating to the basic sections within a contract of sale that should be considered before either party signs on the dotted line. The death of a loved one is a difficult time, and the administration and distribution of the deceased estate can involve a great deal of time and work, but a valid Last Will and Testament can ease the pressure considerably. Making an informed decision regarding the potential investment opportunity when purchasing a property relies significantly on having a clear idea of both latent and patent defects relating to the property. A bond or home loan is often a necessity when buying a property and many consider the primary aim to be paying this loan off, but there are a number of alternatives that could come in handy. While there are important considerations for unmarried couples who choose to enter the property market together, doing so with care should still result in a positive long-term investment. The divorce process can be complicated by many factors, one of which is the ownership of immovable property. Eviction is a tricky process and one which needs to be handled correctly to avoid any legal repercussions – if the correct process is not followed, the landlord may be punished by the courts and in the most severe cases, imprisoned. A suspensive condition is a term or clause within a contract that clearly stipulates a particular criterion that must be met in order for the contract to come into force. Should the suspensive condition(s) not be met, the contract will be void. What happens to the ownership of my property when I get married? There are three types of marriages that one can enter into in South Africa, each of which will have different consequences on the ownership of property. Why was I not given the title deed for my property? Ownership seems like a simple concept; you buy something and you become the sole owner of that object. Unfortunately, the reality is not always quite as straightforward as it seems. Why is it necessary for a Rates and Taxes Clearance Certificate to be issued?